NEW ZEALAND: CQ Hotels in Wellington is offering guests a unique dining experience, launching the countrys first ever restaurant menu in New Zealand Sign Language (NZSL). 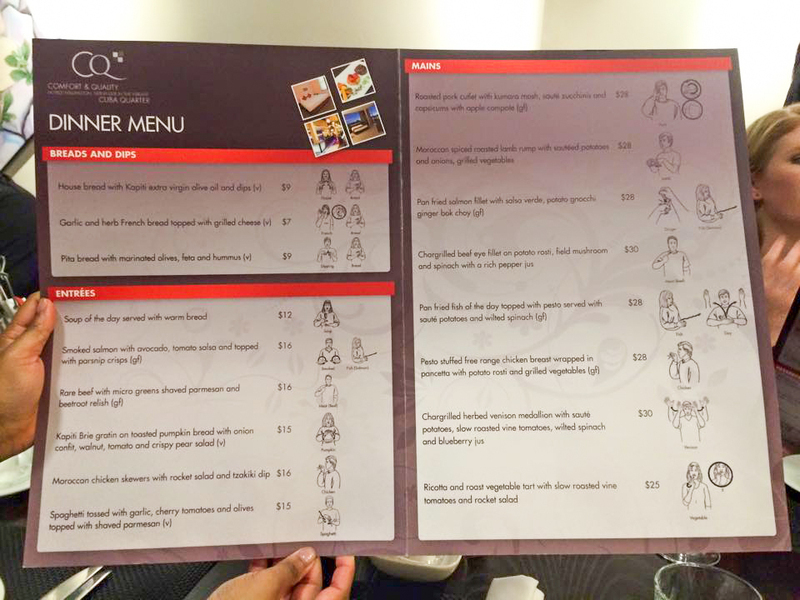 The menu, unveiled during Deaf Awareness Week (4-10 May), includes NZSL symbols so diners can sign to order to order their meals and communicate with staff. The hotel has employed four Deaf staff for the month of May to work alongside staff at CQ Hotels who have leant NZSL by completing courses run by NZ Deaf highly skilled tutors. Customers can learn basic sign language through cheat sheets and graphics incorporated into the menu which will become a permanent fixture in the restaurant over the next 12 months. 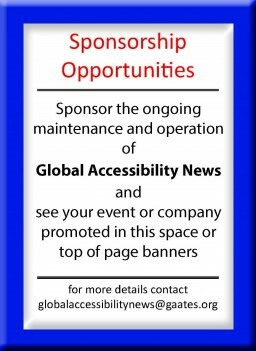 CQ Hotels General Manager Olivier Lacoua said he wanted to change the perception that people who are deaf were disabled, when in fact, they just spoke another language. “This is a unique experience and it’s going to be a lot of fun. I want to break down that barrier of communicating with Deaf people. It’s not easy, but it’s not impossible. Mr. Lacoua says there is also a great need in people who are deaf for employment opportunities. In 2013, CQ Hotels became the first hotel in the country to introduce New Zealand Sign Language training for staff. The NZSL course ultimately gives staff confidence and abilities to communicate effectively with their customers who are deaf. As one of the country’s official languages, NZSL is used daily by more than 24,000 New Zealanders, and it is the 12th most frequently used language, out of approximately 190 languages, currently used in New Zealand.